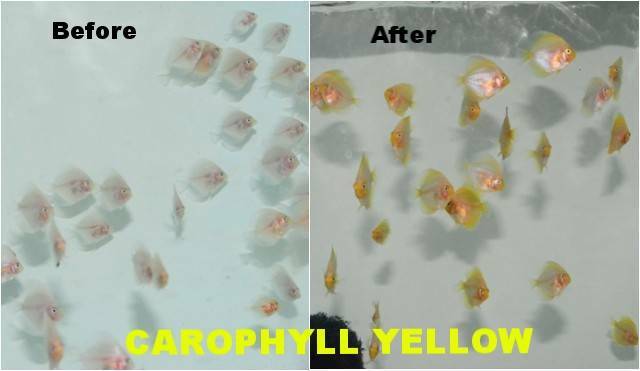 Carophyll yellow is an extremely effective colour enhancing food additive for aquarium and pond fish. Wether you keep discus, koi, African cichlids, live bearers or anything in between this product will have a positive effect on their yellow colouration. A little goes a long way with this product. The dosage is 1/4 teaspoon per 1lb of food. This product is not a hormone and won't harm your fish. 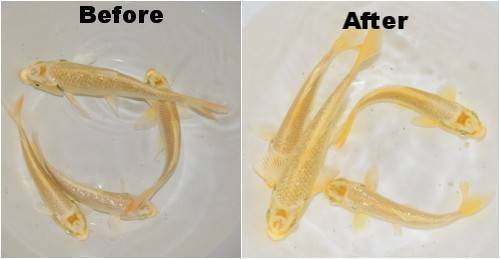 Please see my photos for some before and after images of discus and koi that were fed carophyll yellow. This product ships for free within Canada and the USA. International shipping is $15. Click the button below to add the 50 Grams Carophyll Yellow Colour Enhancing Food Additive to your wish list.